1) Open iTunes on your computer, then connect your iPhone via the USB cable. 2) When your device appears on the left side, click it to bring up the overview screen. 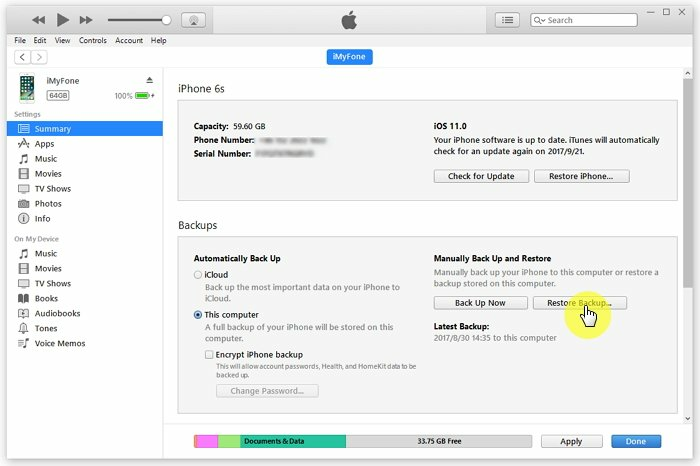 3) Select 'Restore iPhone...' and choose the most recent backup file. 4) Once you've hit 'Restore', you'll need to wait for it to complete and restart before it takes effect.